Vinification & Aging: The grapes were carefully selected by hand and clustered in small quantities, based on vine age and ripeness. A soft pressing is followed by cold maceration for 24 hours at 36°F. Fermentation took place at a strictly controlled temperature. 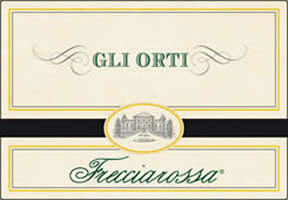 The wine aged 6 months in the bottle and was released 12 months after harvest. Description: Straw yellow in color with green highlights. Floral and rich notes of saccharine fruits. The finish is elegant long-lasting.